My Journey of Experience in world of SQL Server !! 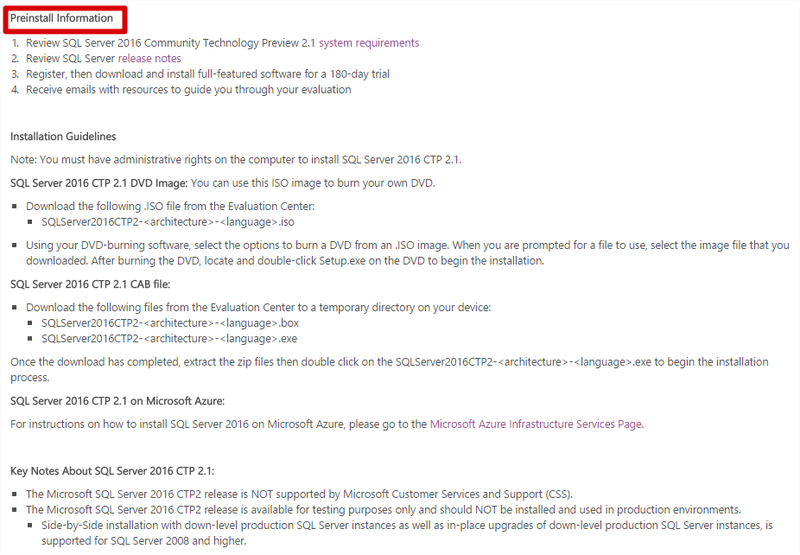 After long time I got chance to download and install SQL Server 2016 community preview. This blog post is nothing but my first look at SQL Server 2016, As from SQL server journey, Here are few my old blog post where I was explaining first look on old SQL Server release. I am really feeling to be integral part of change and accepting all of SQL Server evolution , Also you can see every release nothing but big change, New innovation and always enhancing SQL Server better and better. New White Paper on Spatial Features in SQL Server Code-Named "Denali"
Introducing SQL Server 2014 – Unlocking Real, Time Insights !! Once you register and selected language, Download will appear, Approximate 2 GB File. SQL Server 2016 delivers breakthrough mission-critical capabilities with in-memory performance and operational analytics built-in. Comprehensive security features like new Always Encrypted technology help protect your data at rest and in motion, and a world-class high availability and disaster recovery solution adds new enhancements to AlwaysOn technology. Organizations will gain deeper insights into all of their data with new capabilities that go beyond business intelligence to perform advanced analytics directly within their database and present rich visualizations for business insights on any device. 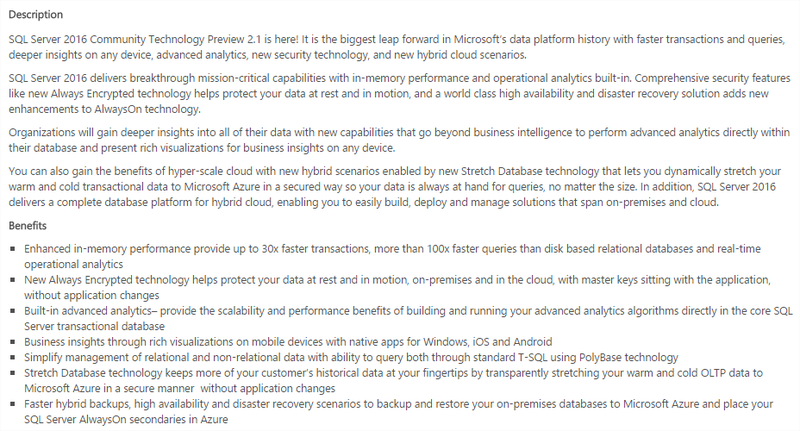 You can also gain the benefits of hyper-scale cloud with new hybrid scenarios enabled by new Stretch Database technology that lets you dynamically stretch your warm and cold transactional data to Microsoft Azure in a secured way so your data is always at hand for queries, no matter the size. In addition, SQL Server 2016 delivers a complete database platform for hybrid cloud, enabling you to easily build, deploy and manage solutions that span on-premises and cloud. 7 different virtual lab available right now, Click here to go ! Please leave comment if you have started using SQL server 2016. 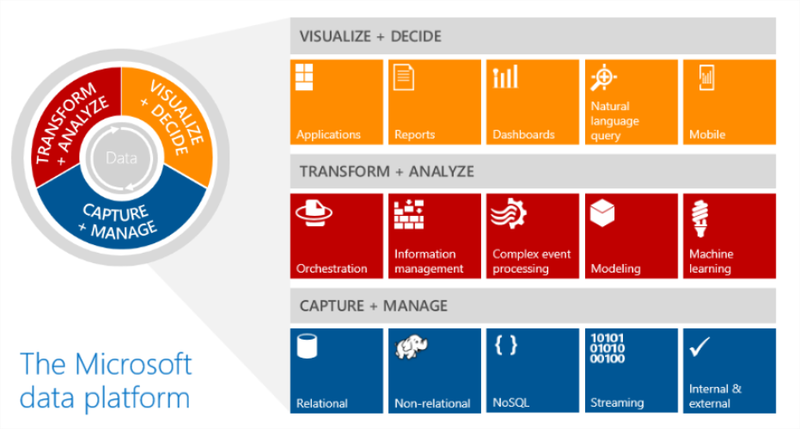 Image Post–SQL 2016, Azure and Everything around it ! 2014 in review ! Wish you all Happy New Year ! Happy SQL Scripting ! BI SQL # 267 : SQL Server DBA Scripts : Identity Columns: Are You Nearing The Limits? BI SQL # 246 : SQL Server DBA Scripts : SQL DMV to find the details of current processes running like percent completed! !